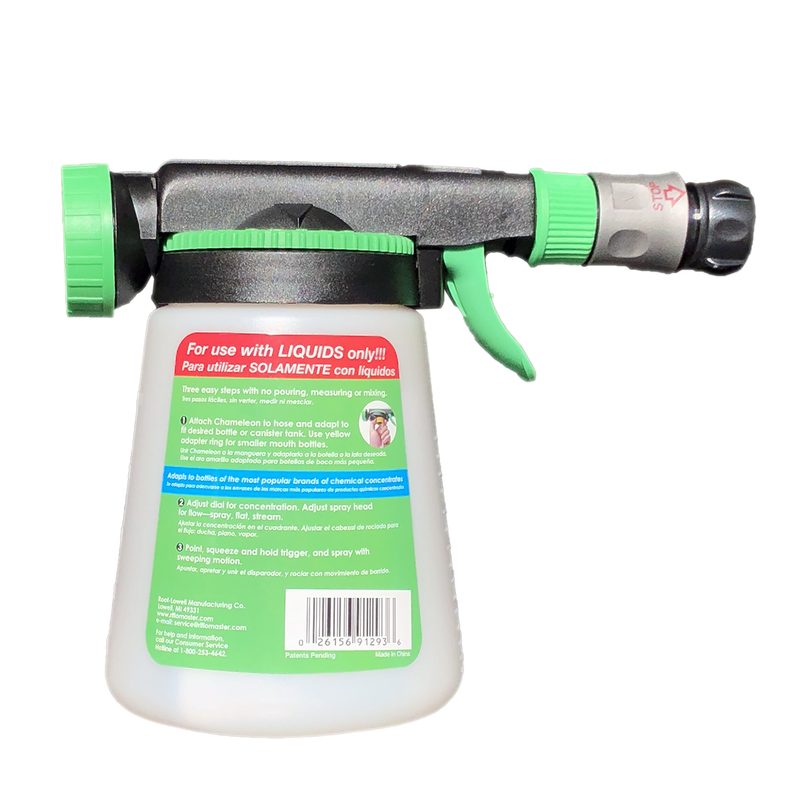 This sprayer works well with all of our liquid products. 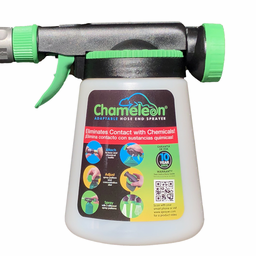 You will love the convenience of this hose-end sprayer! 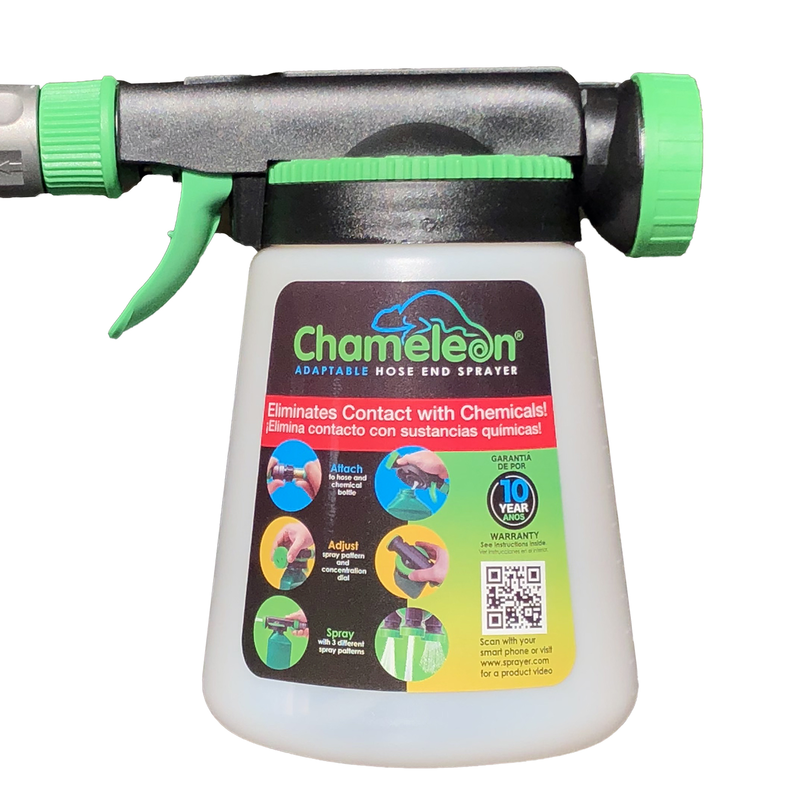 The Hudson Chameleon makes applying all of our liquid fertilizers fast and easy! No mixing, no measuring, no mess! Just turn the dial to the 1oz setting for outdoor plants and and you are ready to go! Three changeable spray patterns — shower, fan, stream. Fits directly on our 1-gallon fertilizer concentrate bottles. Quick to connect — simple to use. Included adapter fits most all concentrate bottles. No measuring or pouring — eliminates contact with our fertilizers! View the Hudson CHAMELEON Instructions here. View the Hudson Sprayer SIMPLE START GUIDE here.